Indian Air Force invites applications through www.careerairforce.nic.in from Indian Men & women for the Flying/ Technical/ Ground Duty Branches commencing in July 2017 for grant of Short Service Commission in Flying Branch and Permanent/ Short Service Commission in Technical and Ground Duty Branches through Air Force Common Admission Test AFCAT . 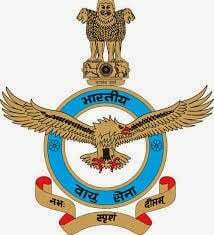 See more details at Air Force Common Admission Test AFCAT. The online application process will remain open till 04 June 2016 to 30 June 2016 (Extended up to 05.07.2016). All applicants whose application have been submitted by due date will be called for Air Force Common Admission Test (AFCAT) to be conducted on 28 August 2016 (Sunday) at one of the examination centres as mentioned in the notification.